Bag #5 is 'Needle Cases'. Neat and tidy storage for all needles - hand and machine, packaged and loose. 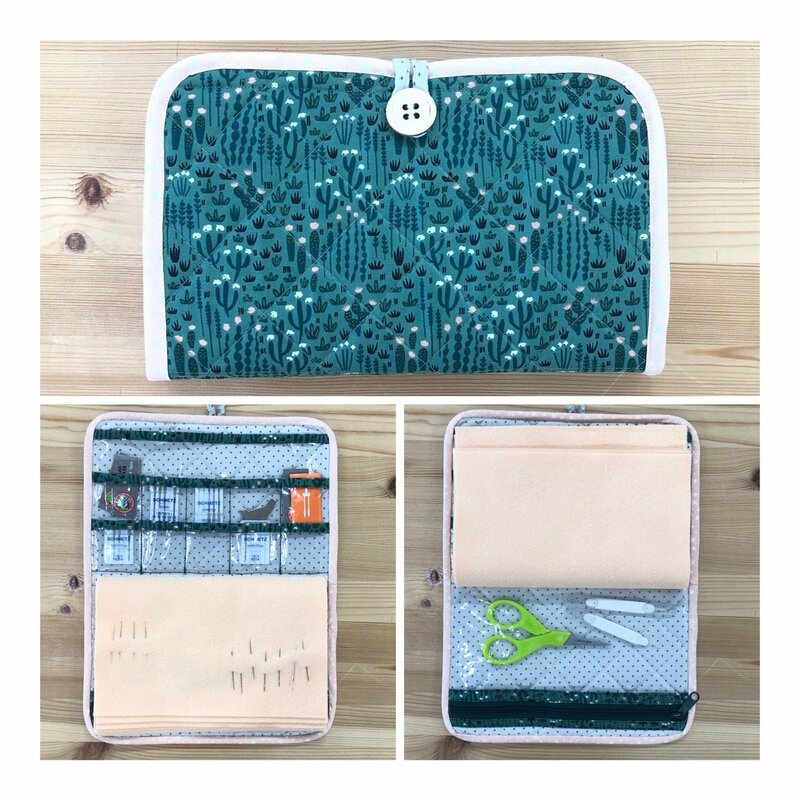 Features see-through pockets for packaged needles, a zippered pocket for scissors, threaders, thimbles and other supplies, and felt pages for storing loose needles. Skills involved in making the Needle Case include installing a zipper, working with vinyl, sewing a button, and binding.